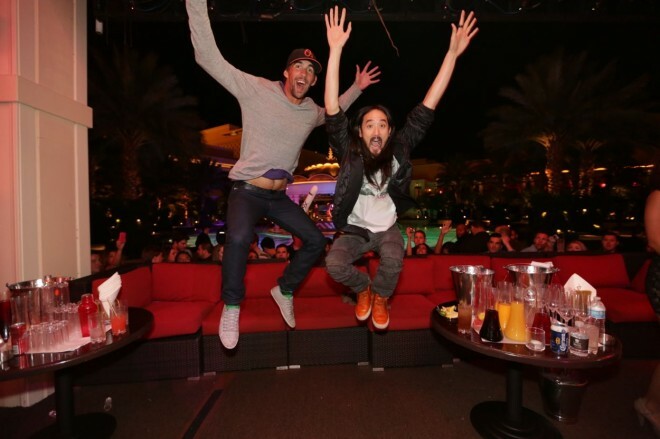 One of the biggest names in EDM, Steve Aoki, has formed a friendship with the most decorated Olympian of all time, Michael Phelps, and it is just beautiful. Luckily for us, Sol Republic put together a preview video of the two in both the club and the pool having what looks like the time of their lives. Aoki is shown teaching Phelps how to DJ, as well as how to accurately throw cakes at crowd members (sure, whatever), which takes the swimmer a few tries to get right. After, the two take it to the pool, where they sport colorful Speedos and smiles.